Ph.D., SLET, M. P. Ed., B. P. Ed. D. Y. Ed., Diploma (Sports Law), B. Com. Worked as a Dean Student's welfare for the year of 2017-18 at Gujarat National Law University. Worked as a Hostel Administrator for the year of 2013-14 of Gujarat National Law University. Worked as a Hostel Administrator for the year of 2011-12 of Shree Somnath Sanskrit University Veraval. Worked in the Exam and Library Department at Shree Somnath Sanskrit University Veraval. Worked as a Principal (I/c) in the B. P. Ed. College, Somnath Academy Kodinar. Books Four (4) book published of B.P.Ed. Course by ADARSH PRAKASHAN AHMEDABAD with ISBN NO. One (1) Article “Yoga and Psychology” in TRAYI CHINTAN, ISSN no: 978-93-86103-14-7, in 2016. One (1) Article “Modern Trends in Physical Education Sports and Yogic Science” in ISBN no: 978-93-86640-09-3, in 2018. Presented paper in International conference on Modern Trends in Physical Education, Sports and Yogic Science on January from 8th -10th 2018, at Mount Abu Rajasthan. Presented paper in International conference on Physical Education and Sports held at Bahauddin Arts College Junagadh, from 23th -24th March 2017. Presented paper on International conference on CONTRIBUTION OF SANSKRIT LANGUAGE IN YOGA .at Gandhinagar from 23rd -24th March 2012. Presented paper on National level conference on YOGA THERAPY at D.C.P.E Amravati Modern Trends in Physical (MS) from 7th -8th February. 2009. Presented paper in National Seminar on Holistic Health through Yoga on January from 5th– 7th 2018, at Zakhan, conducted by Lakulish yoga University Gujarat. Presented paper on National Level Seminar on Yoga at Choksi College Veraval, Gujarat from, 16th -17th January, 2016. Presented paper on National Level seminar on YOGA & PHYSICAL EDUCATION at Varud, Dist. Amravati (MS) on 29 Dec. 2008. Presented paper on National level seminar on YOGA & HEALTH at Harising Gaur University. Sager (M. P) from 30th -31st Jan. 2009. Presented paper on National level seminar on IMPORTANCE OF YOGA EDUCATION IN SCHOOLS at Ahmadabad (Guj) from 27th -28th March, 2010. Presented paper on National level seminar on Yoga in Veda at Shree Somanath Sanskrit University, Veraval, at (Guj) from 3rd – 4th December, 2010. Presented paper on National level seminar on IMPORTANCE OF YOGA EDUCATION IN SCHOOL at Parekh College Ahmadabad (Guj) from 21st -22nd September, 2012. Presented paper on State Level seminar on PHYSICAL EDUCATION at Amravati (MS) on 22nd January. 2009. Presented paper in All India paper present contest on Physical Education at D.C.P.E Amravati (MS) on 30 Jan. 2009. Presented paper in National YOGA week at M.D.N.I.Y New Delhi, from 16-22 Feb. 2009. Participated in National level Conference at Chennai from 8th to 9th January, 2005. Participated in the International Seminar on Yoga at Lonavala on 17th January, 2009. Participated in the National Seminar on Physical Education at Coimbatore from 29th – 30th January, 2004. Participated in All India paper present contest on Physical Education at D.C.P.E Amravati (MS) from 18th December. 2004. Participated in All India paper present contest on Physical Education at D.C.P.E Amravati (MS) from 19th to 21st December, 2003. Appointed as an external expert to conduct B.P.Ed.and M.P.Ed. physical fitness test from 18th to 21st September 2018. Nominated by GNLU to visit Asian games from 25th August to 2nd September 2018 held at Jakarta Indonesia. Paper setter of Final examination of B. P. Ed. the course of Lt. Charansinhji University, Meerut since 2016. External Examiner in the practical exam of Raksha Shakti University in 2015. Yoga Demonstration in Chintan Shibir 11/12- 09/2015 for TDO/DDO at GNLU. Yoga Demonstration in Assistant Public Prosecutor’s programme in 2014. Yog Shibir at CHAITANYA DHAM CHILODA GANDHINAGAR ON 20/02/2013, 26/02/2013, 5-6/03/2013 8-9/03/2013 in Knowledgw Consortium of Gujarat Department of Education, Government of Gujarat. Yog Demonstration at Porbandar (Guj) in Youth Festival of Sanskrit University 2012. Yog Demonstration at Ahmadabad (Guj) on 27-28/03/2010 in Sanskrit Seminar, of National Level. Completed Basic course of Acupressure at Amravati (MS). Basic Course in Mountaineering with (B+) Junagadh Gujarat. Team Manager at Inter University in West Zone SATRANG competition held at Ganpat University in 2017. Team manager Gujarat National Law university football Girls team in 2015 at West-Zonal football tournament at Swarnim Gujarat Sports University, Gandhinagar. Team manager Gujarat National Law university team in 2017 at NLU Jodhpur and won 8-Gold, 9-Silver and 9- Bronze Medal. Team manager Gujarat National Law university team in 2015 at NLU Jodhpur and secured Runner-ups position. Team manager Gujarat National Law university team in 2013 at NLU Jodhpur and won 3-Gold, 2-Silver and 3- Bronze Medal. Team manager Gujarat National Law university team in 2017 at NLU Bangalore and won 3 gold Medals. Team manager Gujarat National Law university team in 2018 at Pandeet Deendayal Petroleum University, Gandhinagar. Team manager Gujarat National Law university team in 2017 at Pandeet Deendayal Petroleum University, Gandhinagar. Team manager Gujarat National Law university team in 2016 at Pandeet Deendayal Petroleum University, Gandhinagar. Team manager Gujarat National Law university team in 2015 at Pandeet Deendayal Petroleum University, Gandhinagar and secured Runner-ups position.. Team manager Gujarat National Law university team in 2014 at Pandeet Deendayal Petroleum University, Gandhinagar and secured Runner-ups position. Team manager Gujarat National Law university team in 2013 at Pandeet Deendayal Petroleum University, Gandhinagar. Team Manager Gujarat National Law University in Justice Cup National Sports event in 2017. Team Manager Gujarat National Law University in Justice Cup National Sports event in 2016. Team Manager Gujarat National Law University in Justice Cup National Sports event in 2014. Team Manager Somnath Academy boys Kabaddi team at district level in 2011 and won the championship. Team Manager Somnath Academy Girls Kabaddi team at district level in 2011 and secured Runner-up. Team Manager of Shree Somnath Sanskrit University team in west Zone all India youth festival 2013 at Surat. Team Manager of Shree Somnath Sanskrit University team in state level youth festival 2013 at Uka Tarsadiya University, Bardoli, Gujarat. Team Manager Sonnath Snaskrit University in Annual Sports-meet at Veraval in 2011 and won championship. Team Manager Sonnath Snaskrit University in Annual Sports meet at Porbandar in 2012 and won Championship. Team manager Gujarat National Law university team in 2017 at IIM Ahmedabad. Team manager Gujarat National Law university team in 2016 at IIM Ahmedabad. Team manager Gujarat National Law university team in 2015 at IIM Gandhinagar secured runner-up position. Team manager Gujarat National Law university team in 2014 at IIM Ahmedabad. Continues gold medal for Athletics team in IIM-A, Sports fest since 2014 to 2017. Team manager Gujarat National Law university team in 2016 at Nirma Sports Fest. Team manager Gujarat National Law university team in 2015 at Nirma Sports Fest and secured runner up position. Team manager Gujarat National Law university team in 2013 at NIFT Gandhinagar. Team Manager of Junagadh District Athletics team in Khel mahakumbh 2012. 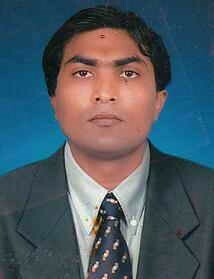 Team Manager of Shree Somnath Sanskrit University in 2010 and secured 1st Position. National Championship (Special Olympics India) from 6th to 10th June, 2017 at GNLU, Gandhinagar. Officiating in Justice League National Level sports tournament conducted by GNLU in 2017 as a referee in athletics, Kabaddi, Volleyball, Table Tennis at GNLU Gujarat National law University, Gandhinagar. Officiating in Justice League National Level sports tournament conducted by GNLU in 2016 as a referee in athletics, Kabaddi, Volleyball, Table Tennis at GNLU Gujarat National law University, Gandhinagar. Officiating in Justice League National Level sports tournament conducted by GNLU in 2014 as a referee in athletics, Kabaddi, Volleyball, Table Tennis at GNLU Gujarat National law University, Gandhinagar. Officiating as a main referee in Athletics and Volley Ball tournament of youth festival of Sanskrit University, at Veraval in 2006, 2007, 2010 and 2012 at Porbandar and 2013 at sola,Ahmedabad. Officiating as referee in JUSTICE LEAGUE Inter- competition in athletics, football 2013 at GNLU Gujarat National law University, Gandhinagar. Officiating as a main referee in kabaddi, kho-kho, and athletics and volley ball tournament in VERAVAL city and taluka in KHEL MAHAKUMBH 2010, 2011 at Shree Somnath Sanskrit University Veraval. Officiating as referee in Kabaddi and Kho-Kho competition 2012 of Taluka level at Shree Somnath Sanskrit University Veraval . Officiating in intramural Hand Ball Comp. Amravati – MS.
Officiating in Final Match of Kabaddi of Sub – Jr. Boys of DISTRICT LEVEL Kodinar, Gujarat. Officiating as a main referee in GUJARAT STATE MERITIME BOARD KABADDI CHAMPIONSHIP 2011 at Somnath Sanskrit University Veraval, Gujarat. Officiating as referee in Athletics (PYCA) competition 2012 of District level at Shree Somnath Sanskrit University Veraval . COACHING to Inter University ATHLETICS, KABADDI and BADMINTON Team of Somnath Sanskrit University, for All India Inter University competition 2013 at Chharodi Ahmedabad. Organized Athletics, Football, Table Tennis, Badminton, Chess Carrom, Volleyball, Basketball, Carom, Cricket, Swimming and Kabaddi Tournaments in Justice League International Level Sports Fest during 1st to 4th February, 2018, at Gujarat national law University Gandhinagar. Organized State level training session for special child in Khele Gujarat in 2017 at Gujarat National Law University from 12th to 30th June 2017. Organized State level training session for special child in Khele Gujarat in 2016 at Gujarat National Law University. Organized State level Football tournament of Khel Mahakumbh in 2016 at Gujarat National Law University from 11th February to 21st February 2016. Organized State level Football and Wrestling coaching camp at Gujarat National Law University from 3rd May to 24th May 2016. Tournament of Khel Mahakumbh in 2016. Organized Athletics, Football, Table Tennis, Badminton, Chess Carrom, Volleyball, Basketball, Carom, Cricket, Swimming and Kabaddi Tournaments in Justice League National Level Sports Fest during 10th to 13th February, 2017, At Gujarat national law University Gandhinagar. Organized Athletics, Football, Table Tennis, Badminton, Chess Carrom, Volleyball, Basketball, Carom, Cricket, Swimming and Kabaddi Tournaments in Justice League National Level Sports Fest during 22nd January to 26th January 2016, At Gujarat national law University Gandhinagar. Organized Athletics, Football, Table Tennis, Badminton, Chess Carrom, Volleyball, Basketball, Carom, Cricket, Swimming and Kabaddi Tournaments in Justice League National Level Sports Fest during 22nd to 26th March, 2014, At Gujarat national law University Gandhinagar. Organized Athletics, Football, Table Tennis, Badminton, Chess Carrom, Volleyball, Basketball, Carom, Cricket, Swimming and Kabaddi Tournaments in JUSTICE LEAGUE National Level Sports Fest during 07th to 10th March 2015, At Gujarat National law University Gandhinagar. Organized Athletics, Football, Table Tennis, Badminton, Chess Carrom, Volleyball, Basketball, Carom, Swimming, Cricket, and Tournaments in Justice League competition 2013 at (GNLU) Gujarat National Law University, Gandhinagar. Organized Cricket Tournament “Justice Cup” only for the Employees of the different Universities in 2017 and secured Runner-ups position. Organized Cricket Tournament “Justice Cup” only for the Employees of the different Universities in 2016 and secured Runner-ups position. Organized Cricket Tournament “Justice Cup” only for the Employees of the different Universities in 2015. Organized Cricket Tournament “Justice Cup” only for the Employees of the different Universities in 2014 and secured Winner Position. Organized Cricket Tournament only for the Employees of the Navy and Maritime Board in 2017. Organized Cricket Tournament only for the Employees of the Navy and Maritime Board in 2015. Organized Cricket Tournament only for the Employees of the Navy and maritime Board in 2014. Organized Cricket Tournament only for the Employees of the Navy and maritime Board in 2013. Organized Cricket Tournament only for the Advocates of Bar Council of Gujarat high court in 2015. Organized District level ATHLETICS, competition of under16th Boys- Girls, Junior Boys- Girls and under 19 Boys competition in Somnath Sanskrit University Veraval. On 27th Sept. 2012. Organized Taluka level ATHLETICS competition of under16th Boys- Girls and junior Boys- Girls in Somnath Sanskrit University Veraval. On 3rd and 4th Sept.2012. Organized youth festival of Somnath Sanskrit University, at Veraval in 2006, 2007, 2010 and 2012 at Porbandar. Organized Competition of KABADDI, ATHLETICS, VOLLEYBOLL and KHO-KHO of Veraval City and Taluka in Khel Mahakumbh-2011 in Shree Somnath Sanskrit University Veraval. Organized Competition of KABADDI, ATHLETICS, VOLLEYBOLL, KHO-KHO of Veraval City and Taluka in Khel mahakumbh – 2010 at Shree Somnath Sanskrit University, Veraval. Organized District level ATHLETICS, competition of under16th Boys- Girls And junior Boys-Girls at Somnath Sanskrit University Veraval. From 19th sept. To 25th Sept.2011. Organized State level KHO-KHO competition in Shree Somnath Sanskrit University Veraval. From Oct. 3-5 2011. Organized Taluka level Competition of Kabaddi, Kho-Kho, Athletics of Sub Jr. Level and Jr. Level Athletic Comp. at Kodinar Guj. Organized District level Competition of Kabaddi, Kho-Kho, Athletics of Sub Jr. Level – at Kodinar – Guj. Organized Annual Sports day of Somnath B. Ed. College – Kodinar. Organized Annual Sports day and Conducted the Re-Public Day i.e. 26th January & Honored with Discipline Salute. Celebrated International Yoga Day in 2016-2017at Gujarat National Law University. Delivered Lecture at M.G. Science College at Ahmedabad on 1st International yoga Day celebration. Organized Cleaning campaign session (Swachchh Bharat Mission) at New Koba village Gandhinagar, in 2015/16/17. Organizing Sports and Cultural activity on 26th January and 15th August since 2013 to continue at Gujarat National Law University. Yoga Demonstrations on 15th August and 26th January 2013,2014,2015,2016 and 2017 at Gujarat National Law University. Yoga Demonstrations on 15th August and 26th January 2006, 2007, 2008, 2010 and 2011 at Somnath Arts College Kodinar, Gujarat. Yoga Demonstrations on 15th August and 26th January 2011and 2012 at Shree Somnath Sankrit University, Veraval, Gujarat. Organized Plantation at Gujarat National Law University in 2015, 2016 and 2017. Organized Blood Donation Camp two times at D.C.P.E – Amravati (MS). Organized 2-times Blood Donation Camp at Somnath College of Phy. Edu.Kodinar Gujarat. Organized N.S.S. camp from 2nd to 8th march at DHAVA-(Gir)-JUNAGADH. From Shree Somnath Sanskrit university. Organized Blood Donation Camp at DHAVA-(Gir)-JUNAGADH. From Shree Somnath Sanskrit university. Organized Plantation program on 15th August, 2014 at Gujarat National Law University. Organized Plantation Program at Shree Somnath Sanskrit University, Veraval. Organized Sports and Cultural activity on 26th January and 15th August since 2007-2011 at Somnath Academy Kodinar. Organized Sports and Cultural activity on 26th January and 15th August since 2011-2012 at Shree Somnath Sanskrit University Veaval. Organized cleaning session at Koba village at Gandhinagar, Gujarat various time in 2016. Organized cleaning session at Heritage Place “Adalaj Vav at Gandhinagar Gujarat” various time in 2017. Worked as an Assistant Director of Sports and Physical Education in Gujarat National Law University Gandhinagar since 16th Jan 2013 to 31st December, 2018. Worked as a P.T.I. in Somnath Sanskrit Uni. Veraval since 8th Aug. 2012 to 15th Jan. 2013. Worked as a P.T.I. in Somnath Sanskrit Uni. Veraval since 4th January 2012 to 07th August 2012. Worked as a P.T.I. in Somnath Sanskrit Uni. Veraval Since1 st Feb. 2011 to 31st December 2011. Worked as a P.T.I. in Shomnath Arts College Kodinar since January-2007 to 31st January, 2011. Worked as a YOGA instructor in Kasturba Mahila Mandal Vereval since June-2010 to 31st Jan, 2011. Worked as an In-charge Principal in Somnath B.P.Ed College Kodinar Since Nov. 06 to 08. Worked as a Physical Education Teacher at Somnath Academy – Kodinar in Secondary & Higher Secondary since July 2006- January-2007. Worked as a P.T.I in Ambuja Vidhyaniketan – Kodinar from Jan. 06 to March–06.